Eighteen years ago, Adam Henderson lost his hair as a result of treatments while battling acute lymphocytic leukemia at Texas Children’s Hospital. As of a few days ago, Henderson is once again bald after participating in the St. Baldrick’s event in The Woodlands with his former pediatric oncologist, Dr. Timothy Porea. Both Porea, clinical director of Texas Children’s Cancer and Hematology Centers, and Henderson shaved their heads to raise funds and awareness for pediatric cancer research along with about 60 other participants. Porea has participated in the fundraising and head shaving for the last ten years. He had previously taken part in the events in Virginia. This year, after a move back to Houston, he was excited to call his former patient to join him. Porea and Henderson have kept in touch over the years and are even counselors together at Camp Periwinkle. St. Baldrick’s annual challenge to “Brave the Shave” brings together survivors, patient families, physicians and supporters from across the community to raise funds for childhood cancer research. This year, the nationwide shaving events have raised more than $22 million so far. 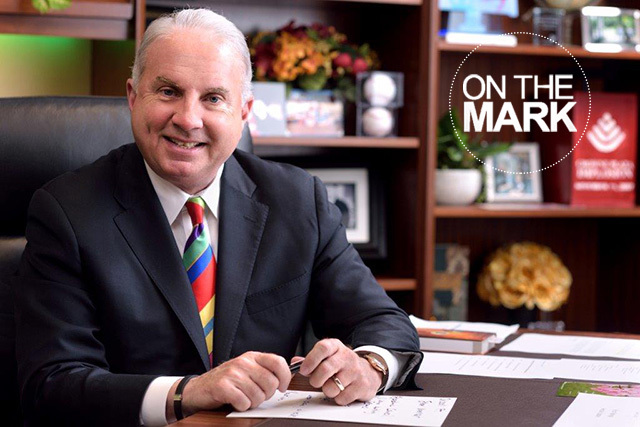 The foundation was started as a response to the lack in funding for childhood cancer research. 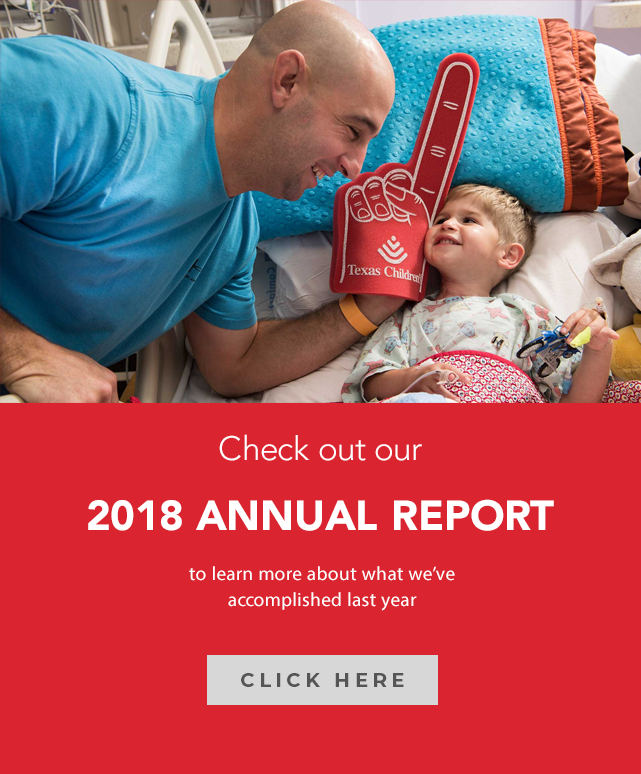 According to the organization’s website, while 175,000 children are diagnosed with cancer each year, all types of childhood cancers combined receive only 4 percent of the U.S. federal funding for research. The funds raised through St. Baldrick’s have helped fund 820 grants, at 329 institutions, in 22 countries. 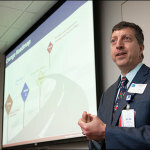 Several have been given to researchers at Texas Children’s Cancer and Hematology Centers. For Porea, who sees these patients every day, this research is vital to the discovery of better treatments and the possibility for a cure. For Henderson, his new bald look is a conversation starter. Most importantly, it brings attention to a disease he’s all too familiar with. Asked how long he plans to continue shaving his head for childhood cancer research, Porea didn’t hesitate to answer. April 2 is World Autism Awareness Day when the international community will “Light It Up Blue” to bring recognition to autism as a rising global health concern. Texas Children’s encourages everyone to wear blue that day or post something blue to one of their personal social media pages to show their support for autism awareness. Autism spectrum disorder is the fastest-growing developmental disability in the United States, affecting 1 out of every 68 children. It occurs more often among boys than girls. Children with autism often experience significant social, communication and behavioral challenges. For more than a decade, Natanya Dugall searched for a diagnosis for her son that would explain his vision, speech and movement impairments. She knew something was wrong with Grayson from the moment he was born, but initial genetic testing turned up nothing. When Grayson turned 13, Dugall received some unexpected news. A laboratory had identified chromosomal deletions on a specific gene in Grayson’s DNA which had been collected years earlier. 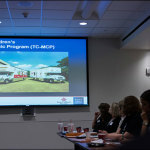 After the initial find, Grayson participated in a study at the Autism Center at Texas Children’s that examined the effects of people who grew up with either chromosomal deletions or copies on this gene. When the Dugall family made the 1,120-mile trek from their home in Milwaukee, Wisconsin to Houston in 2011, their quest for answers to Grayson’s puzzling condition was confirmed – he had autism. 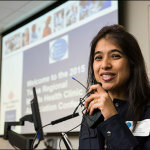 The Autism Center’s multidisciplinary team of specialists from developmental pediatrics, psychology, psychiatry, neurology and social work provide diagnostic evaluations and ongoing clinical care to 2,000 patients with autism each year. 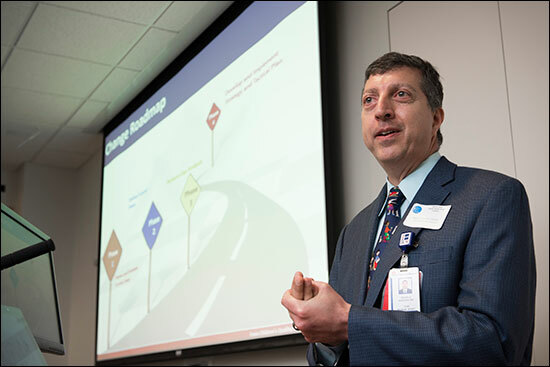 Researchers at the Autism Center participate in a wide range of research studies focused on autism spectrum disorders, collaborating with scientists from other renowned centers across the nation. 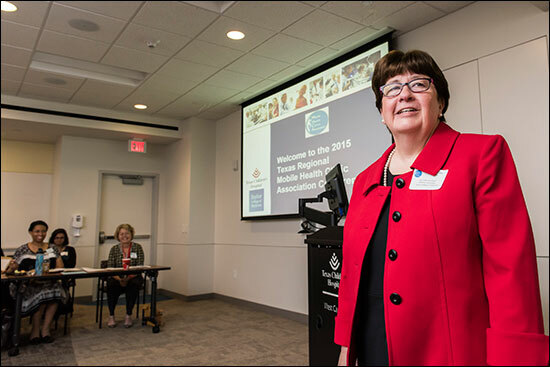 In conjunction with the groundbreaking work emerging from the The Autism Center, Dr. Ruth Ann Luna at Texas Children’s Microbiome Center focuses much of her research on the link between disturbances in the gut microbiome and gastrointestinal (GI) symptoms in children with autism. One of her biggest motivators is her 6-year-old son, Kellen, who has autism. 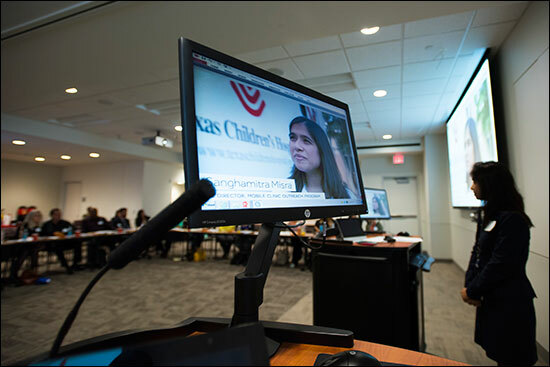 With the support of a $1.4 million, three-year-grant from Autism Speaks, Luna and her Baylor and Texas Children’s colleagues are embarking on a study to determine if a biological connection exists between autism and GI disorders. “I was in awe when I found out we were awarded this funding to advance autism research,” Luna said. “The data gleaned from our research will benefit my son and other families who have children with autism, especially those children with limited verbal abilities.” Click here to read more about Luna’s autism study. For more information about “Light It Up Blue, click here and to learn more aobut the Autism Center at Texas Children’s click here. The Department of Pediatrics has been selected to edit the 23rd edition of the classic textbook Rudolph’s Pediatrics. First written in 1897 as Disease of Infancy and Childhood by L. Emmett Holt, M.D., the book is today one of two principal textbooks of pediatrics used around the world. The most recent, 22nd edition published in 2011 by McGraw-Hill Professional includes 2,488 pages and a companion DVD featuring more than 1,700 figures, 1,100 tables and 30,000 references. Abraham M. Rudolph, M.D., now professor of pediatrics emeritus at the University of California San Francisco, assumed the editorial reins in 1977 with the 16th edition of the book, then known simply as Pediatrics. In 1991, with the 19th edition, it was renamed Rudolph’s Pediatrics in his honor. Editor-in-chief for the 22nd edition was Abraham Rudolph’s son, Colin, Rudolph, M.D., Ph. 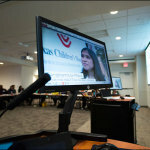 D., vice chair of Clinical Affairs of the Department of Pediatrics at the Medical College of Wisconsin. 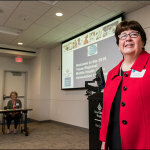 Margaret Young, MHA, RN, Bone Marrow Transplant. I have worked at Texas Children’s for 15 years and in Bone Marrow Transplant for three years. I was going about my day as usual engrained in completing my various responsibilities, and I was notified by my assistant clinical director we had an impromptu budget meeting with our director. I was thrilled….!!! I gathered all my notes and reports and proceeded to the conference room. 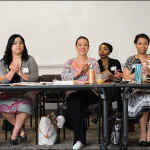 As I walked in the conference all the staff members, my fellow peers, ACD, and AVP were already in the room clapping and smiling. Indeed I must say I was surprised and thrilled and then asked “What’s this for?” I then looked at the banner which stated Super Star Leader. The decorations and food were great! 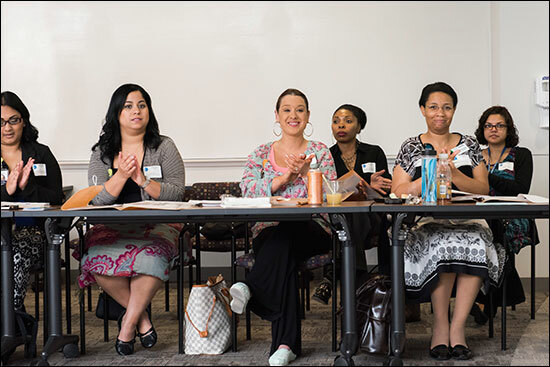 What does it mean to be recognized for the hard work you do? The Super Star recognition means to me that someone has really recognized how hard I truly work each day. I treat every day like a new day and know that tomorrow is not promised. So, I have to make the best of today. 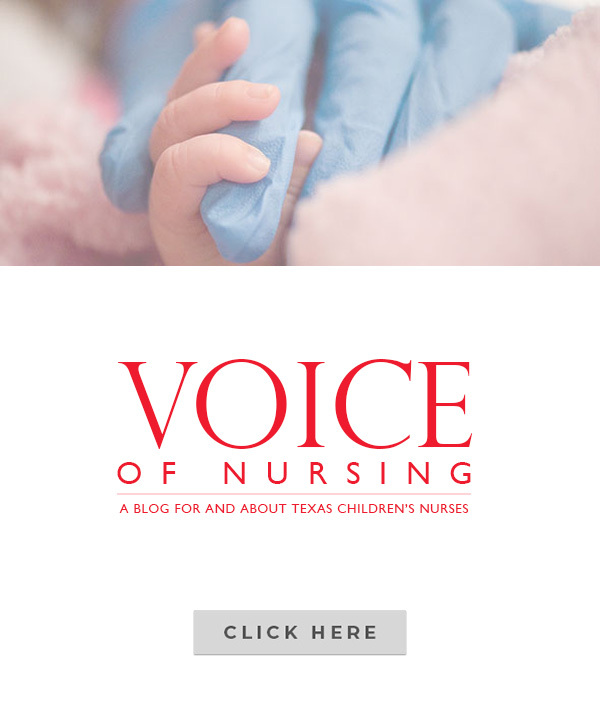 I believe a Texas Children’s Super Star goes above and beyond daily – not just when there’s a need or a call to assist. A Super Star leader is impactful, has influence and can make a difference. My motivation for going above and beyond daily is seeing the potential and growth of our staff. I challenge the staff every chance I get to do more and become more. We’re great at what we do but there’s still so much more for us to conquer and accomplish and see the benefits of our hard work. 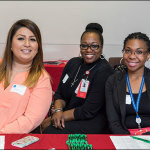 The best thing about working at Texas Children’s is the people. I’m extremely humbled and grateful for this recognition. This recognition motivates me to do more! 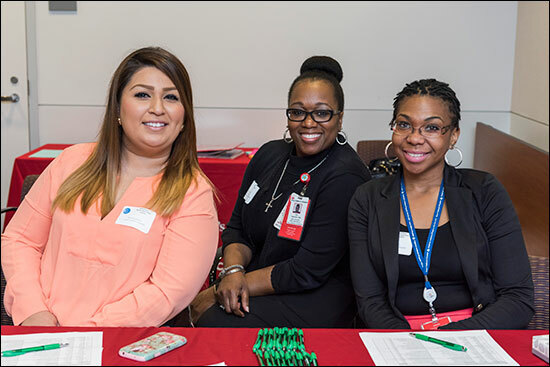 Texas Children’s Mobile Clinic Program hosted the Fourth Annual Texas Mobile Health Clinics Regional Coalition Meeting March 20 at Texas Children’s Hospital West Campus. 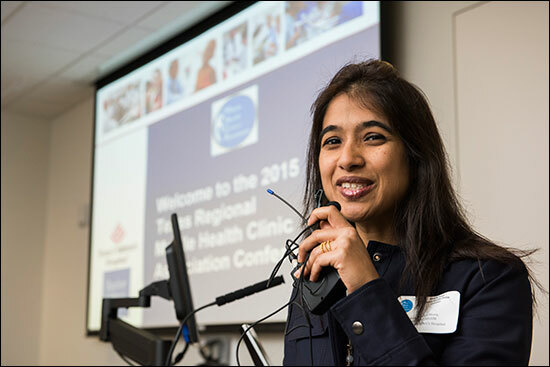 Forty mobile clinic professionals – the largest turnout in the conference’s four-year history – attended the half-day event designed so that attendees could share information about a service that brings quality medical care to those who can’t easily access it. 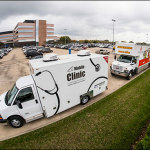 In addition to sharing knowledge, five conference participants, including Texas Children’s Mobile Clinic Program, brought their mobile clinics to West Campus for all to see. 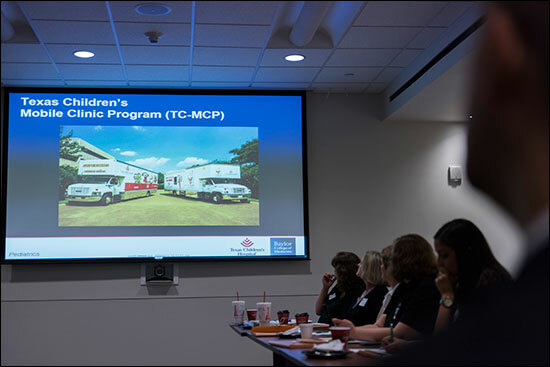 The Texas Children’s Mobile Clinic Program is composed of two clinics: The Superkids Mobile Clinic and the Ronald McDonald Care Mobile. The mission of the program is to provide underserved children in the Houston area with comprehensive health care and preventive education. 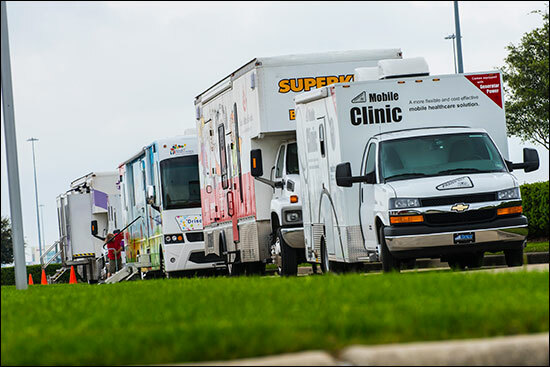 During the school year, the Super Kids Mobile Clinic travels primarily to Houston Independent School District schools, community centers and churches in the Southwest Gulfton area. 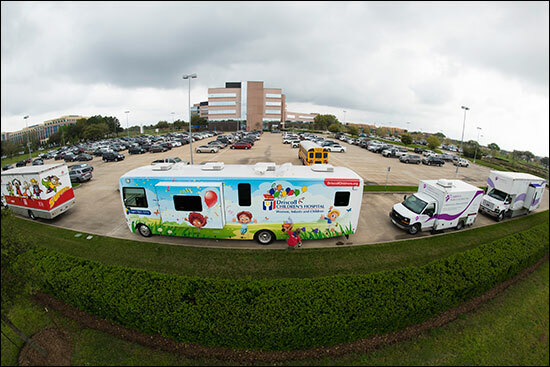 The Ronald McDonald Care Mobile travels primarily to HISD schools, community centers and churches in the Southeast Hobby area. 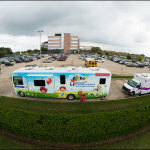 The clinic provides free vaccinations to those who qualify for the Texas Vaccines for Children program and also provides free well child visits, sick visits and hearing or vision screenings for uninsured children in the Houston area. 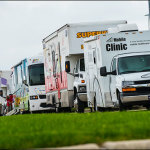 In addition, both mobile clinics have pharmacies that are stocked with common medications. The providers can perform common laboratory tests. Lastly, providers and staff members educate all patients coming through the clinic about the different insurance options available to them. 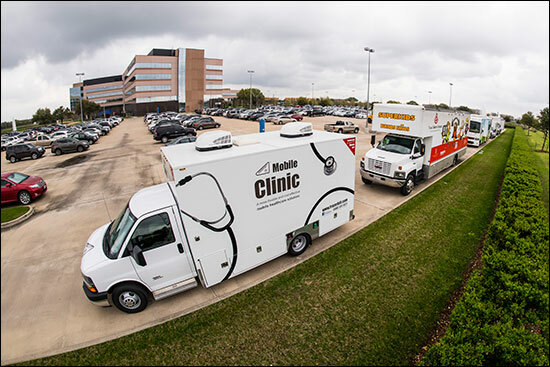 In the summer, the clinics travel throughout the Houston area and sometimes even further to provide free vaccines to children before the school year starts. Dr. Huda Zoghbi received the 2015 Mortimer D. Sackler, M.D. Prize for Distinguished Achievement in Developmental Psychobiology, awarded by Weill Cornell Medical College and Columbia University College of Physicians and Surgeons. Zoghbi is the director of the Jan and Dan Duncan Neurological Research Institute at Texas Children’s, a professor of molecular and human genetics, pediatrics, neuroscience and neurology at Baylor College of Medicine, and a Howard Hughes Medical Institute investigator. As a member of the National Academy of Sciences, Zoghbi has pioneered research on Rett syndrome and other rare brain disorders, and has advanced research of more common conditions including autism and adult neurodegenerative diseases. In one of her most well-known achievements, Zoghbi provided a definitive genetic diagnosis for Rett syndrome and opened the door to a biological understanding and a search for treatment. Rett syndrome is a genetic neurological disease that usually affects young girls. Girls born with the disease develop normally for one or two years, but then begin to show progressive loss of motor skills, speech and other cognitive abilities. Zoghbi has also found other genes, including Math1, an essential gene governing the development of cells critical for hearing, balance, and breathing, and the genes for spinocerebellar ataxia 1 and 6. Her work has led to a better understanding of neurodevelopmental and neurodegenerative disorders. The prize is named for the Dr. Mortimer D. Sackler, one of the most creative scientists in the field of developmental psychobiology. The Mortimer D. Sackler Foundation, Inc. endowed the prize in a gift in 2009. Zoghbi plans to donate the $100,000 prize money to a mentorship fund that she established to help young female scientists get their work – specifically research on “bold, new ideas” – off the ground.